BRAVA Magazine has several internship opportunities for enthusiastic, driven and creative college students and recent graduates. Our interns thrive as part of our small, close-knit team of women, learning many aspects of the magazine business from the inside out. Along with that valuable experience, they come away with an impressive portfolio of their published work, both in print and online. Our interns have gone on to writing, designing or marketing positions at other publications, businesses or organizations, and some have gone straight to staff positions at BRAVA. 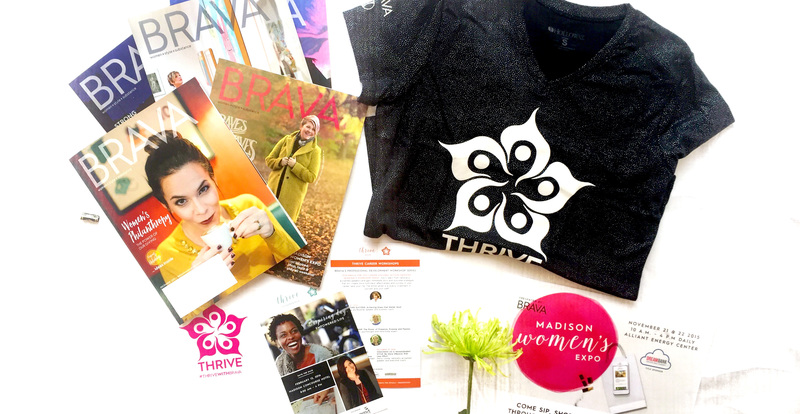 Our internships, which are unpaid, also come with many other perks, such as attending staff outings to events and happenings around town, as well as BRAVA’s personal and professional growth programming, including BRAVA THRIVE Conference, Career workshops and the Madison Women’s Expo. And, of course, when we write about food or drink, we have to have a taste! Internships typically run for the duration of a single school term, but on occasion some of our interns have extended their stay to multiple semesters. See the details of our opportunities below. REQUIREMENTS: Willingness to learn and have fun, excellent short-form writing skills; some knowledge of copy editing and AP Style is helpful but we will train. Interns also need a laptop, transportation to and from our Verona offices and any assignment locations, and please bring dedication, a robust sense of humor and joie de vivre! DUTIES: Editorial interns get hands-on, daily experience in interviewing and writing for most departments in the magazine and our website. Interns also regularly help with headline writing, editing, fact-checking and proof reading. Editorial interns also are often invited to fashion shoots and have even helped with styling our models. They also research potential story ideas. TO APPLY: Send resume, cover letter and several published clips or unpublished examples of your writing to Assistant Editor Julia Richards. Accepting applications year round. REQUIREMENTS: Must be self-motivated, efficient, flexible and willing to assist in quick turnaround projects. Must have design knowledge of Adobe CC. Preferred candidates will be in the fourth year of a design program or be a recent grad. Should have social media, illustration and photography skills. Need own computer and transportation to our Verona offices. DUTIES: Design ads for print and web; update weekly web graphics, department maintenance, file organization and preparation. Assists Art Director as needed in a variety of areas. Send strong portfolio and website work to Art Director Ann Christianson.